My first house after getting married was a 980-square-foot two-bedroom Ranch-style home. When our second child was on its way, it became obvious that we were going to be stretched for space. We needed to find a bigger place! It’s not unusual for a young couple to start off married life in a small home of less than about 1,000-1,500 square feet. Then the children start to come along, and space gets tight. Even more typical these days are Baby Boomers facing the empty nest syndrome, where the family has moved on and the married couple face living in a too-big house. That’s where the 2000-2500-square-foot house plan comes in. Like the momma bear’s porridge, chair, and bed in the “The Three Bears,” that size home plan is not too big, not too small – but just right. In fact, according to the National Association of Home Builders (NAHB), the median-size single-family home currently being built in the United States new-construction housing market is 2,445 square feet. 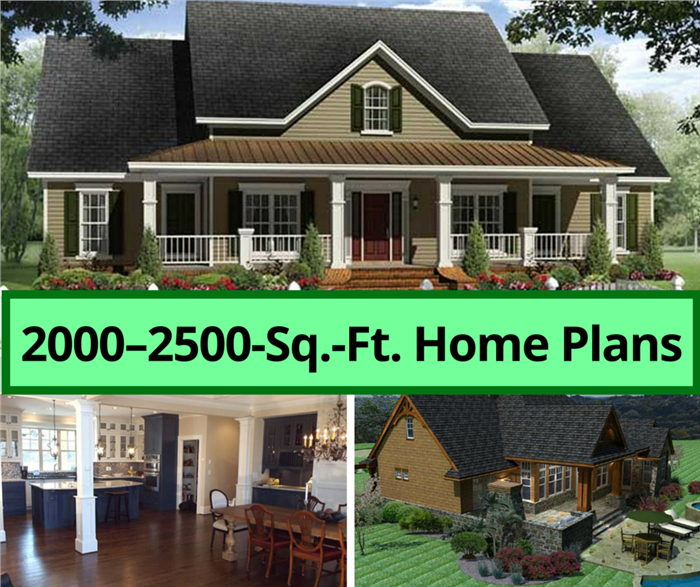 We take a look at this house-plan segment to discover 10 popular features that house plans in the 2000-2500-square-foot range have to offer. And there is no lack of selection in architectural styles. 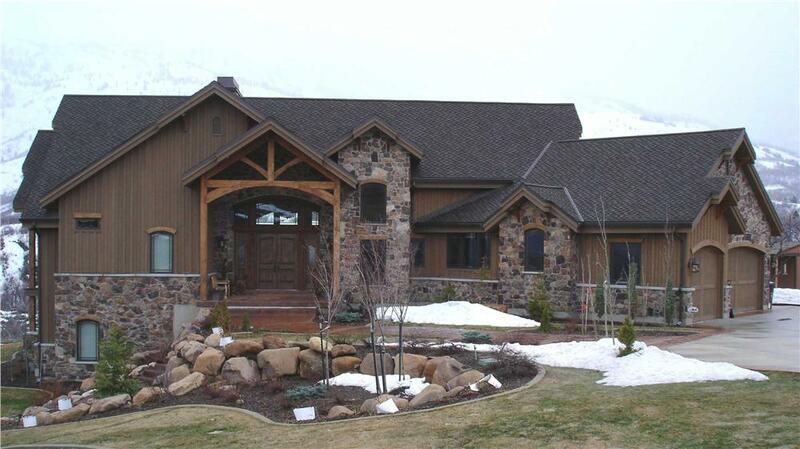 From Craftsman to Country or Farmhouse to Ranch and more, you are sure to find something that strikes your fancy. 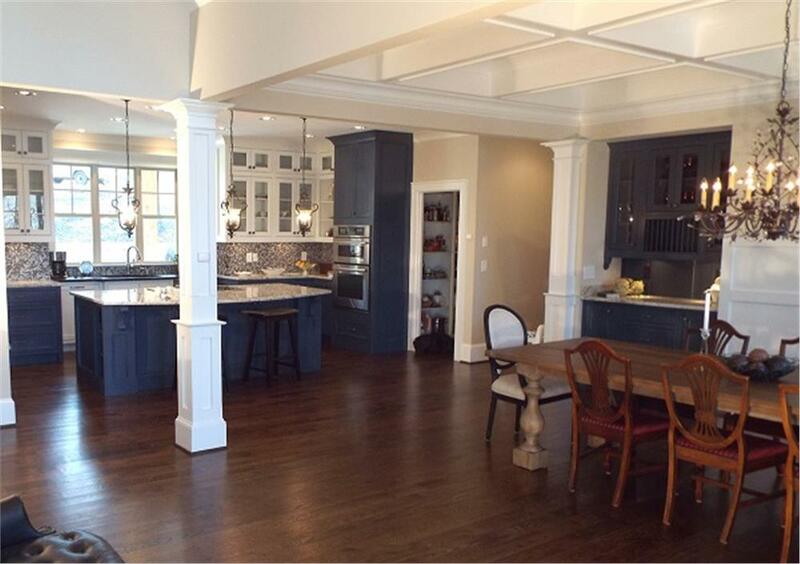 One of the hottest trends in recent years, the open floor plan – in which the kitchen, dining room, and family room are open to each other, without walls – makes the space seem larger and is conducive to family living and entertaining. 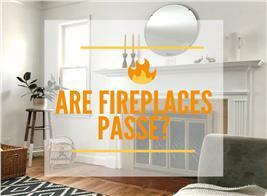 It is a no-brainer for smallish family homes. 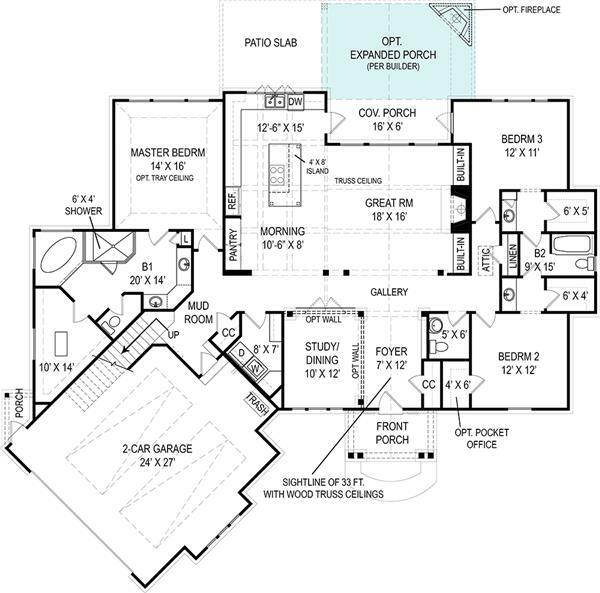 Typcial of the open floor plan, this space, which is in a stunning 3-bedroom, 3-bath Ranch-style house plan, spells exquisite modern living. The family is to the left, behind the chair peeking out at bottom left (Plan #106-1274). 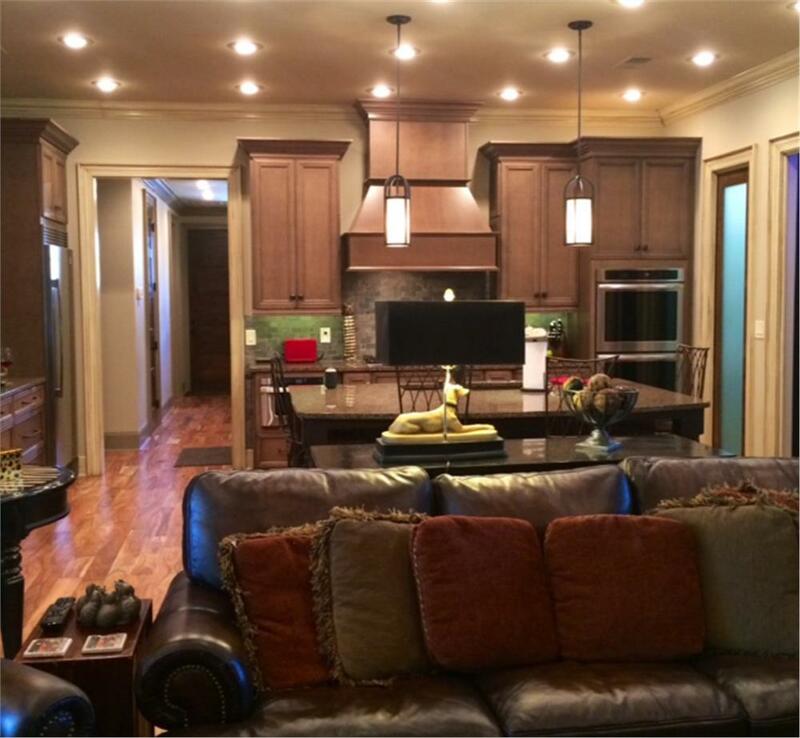 Talk to anyone with experience managing a home, and you will hear the same thing: the kitchen – the heart of the home – is the most important space in the house. No matter what size the home, you should maximize the kitchen space and make sure it has plenty of storage, with lots of cabinets and if possible, a walk-in or closet pantry. With plenty of cabinets here (and more base and wall cabinets to the left, just outside the view of the photograph) this kitchen sports storage galore, plus the added benefit of a walk-in pantry behind the translucent glass sliding door to the right, just past the wall ovens (Plan #153-1987). 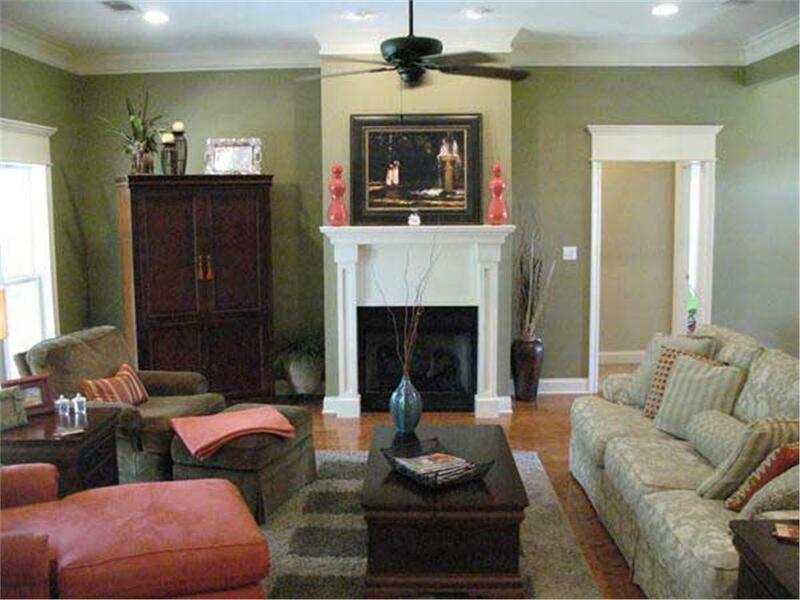 A sure-fire way to make a smaller home live larger is with high ceilings. The more volume inside the shell of the house, the larger it will feel. If you can afford to have 9-foot-high ceilings – or even 10-, 11-, or 12-foot-high ceilings in certain entertaining areas ­– you won’t regret it once you step into the expansive space. 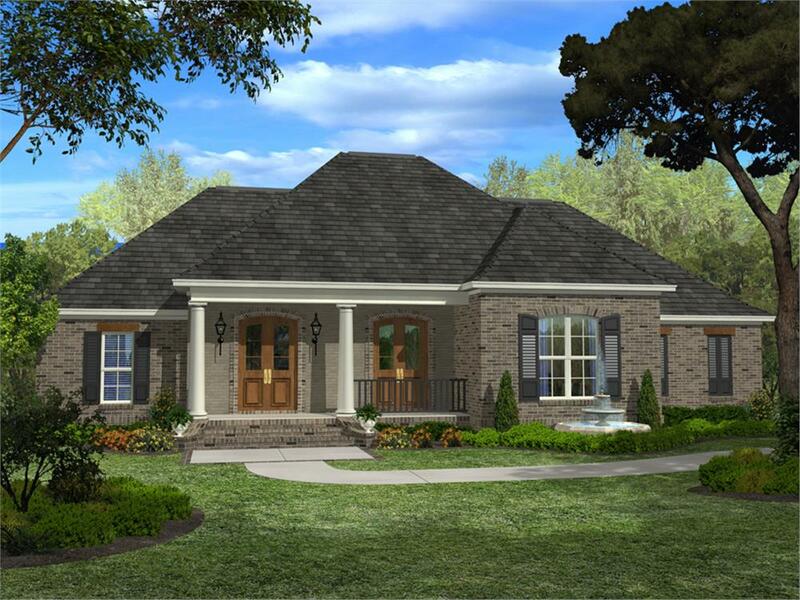 This room in a 2,250-sq.-ft. Southern Country-style house plan is not all that large, but it seems roomy and grand because of its 9-ft.-high ceiling (Plan #141-1060). Popular especially among Baby Boomers – and almost by definition empty nesters – the master suite on the main floor is almost becoming universal in new construction. It eliminates the worry of having to negotiate stirs in advancing years and makes one-level living possible even in a two-story home, with extra bedrooms upstairs. 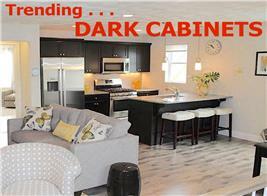 Highly recommended for your move-up (or down) new house. 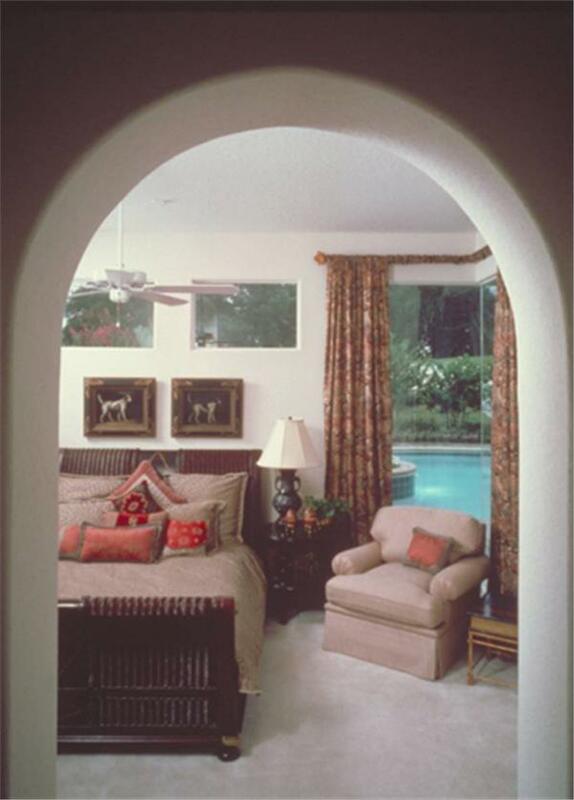 The master bedroom (top), with a view of the pool, is tucked in its own cozy corner, away from the other bedrooms and the “public” areas, as seen in the floor plan (bottom). 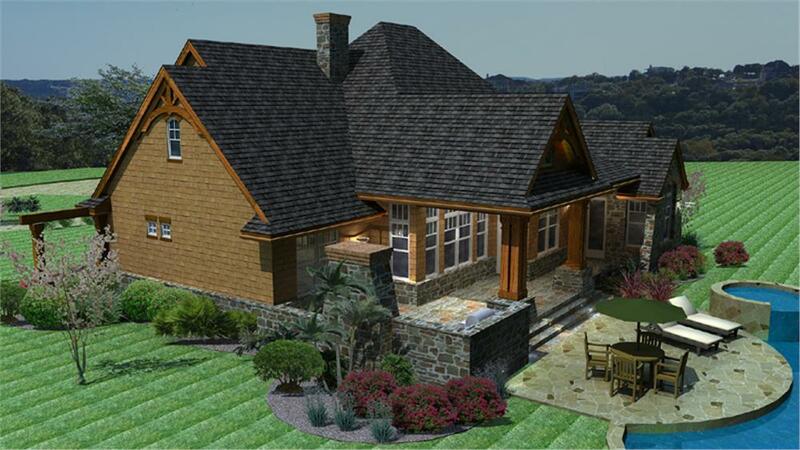 It also has it own entrance to the rear deck (Plan #190-1007). You’ll want to pamper yourself in your new home, and what better way than with a luxurious bathroom with all the space and amenities you desire. 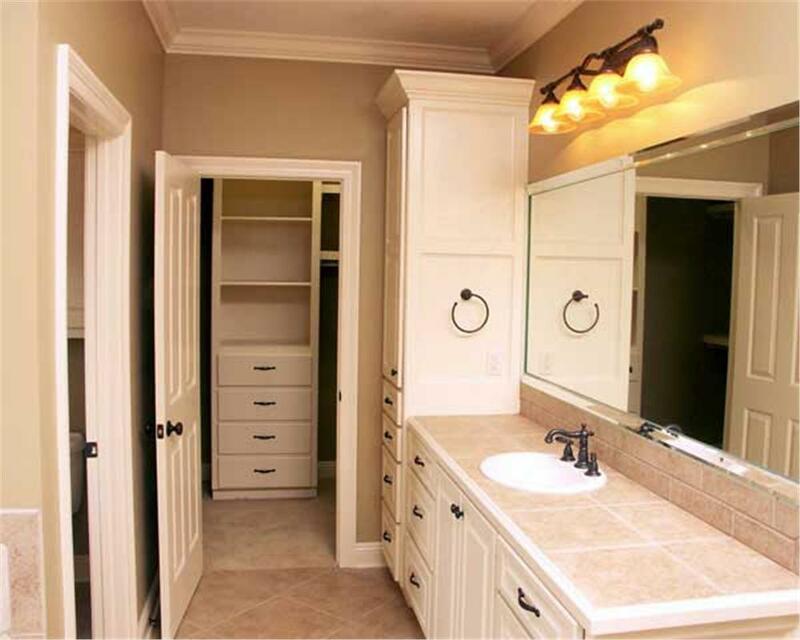 Double vanities is de rigueur in the master bath these days; separate vanities/sinks, say each one on it own on each side of the room, is even more fashionable. And don’t forget the water closet, or compartmented toilet, for privacy. 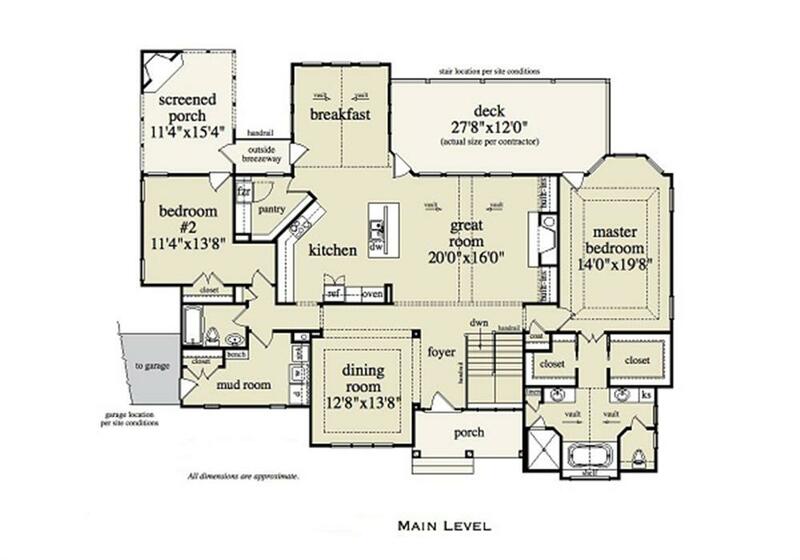 This floor plan of a magnificent 2,344-sq.-ft. Craftsman-style home illustrates a lovely master suite occupying its own wing to the left of the home. The vanities in the master bath are separate and face away from each other; the private water closet speaks for itself (Plan #106-1276). Continuing the pampering theme of tip number 5, his and her closets are a decadent but enjoyable feature if you can manage it in your new home. Clothes seem to have a strange way of multiplying over the years, so why not have your own roomy closet to store them? 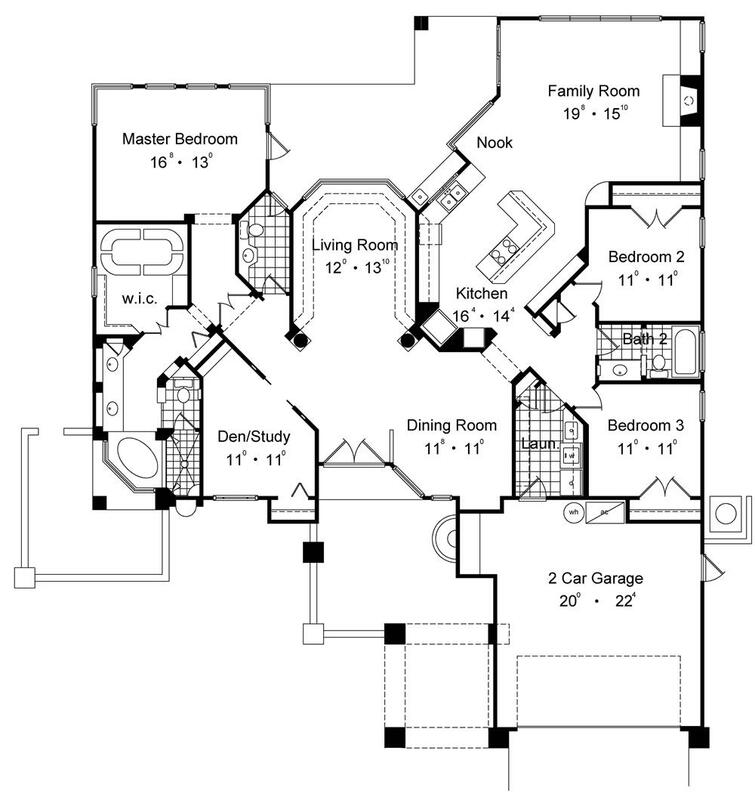 With the entire right side of the 2,257-sq.-ft. Country Luxury home all to itself, the master suite in this floor plan has all the hallmarks of exquisite living: large master bedroom, his and her walk-in closets, separated vanities, vaulted ceiling, luxurious shower and separate tub, and private water closet (Plan #163-1052). An active family needs a place where the kids can come in without your worrying about them messing up the house or the gardener of the house can enter after working the soil and not have to worry about muddy boots. 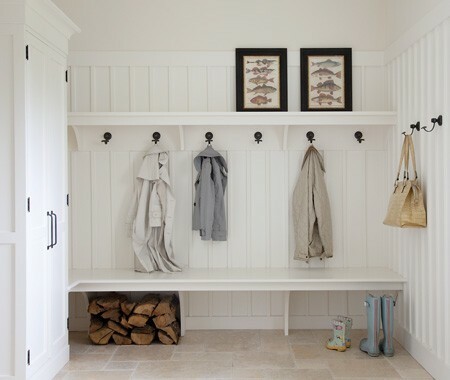 So you should make sure you plan ahead an include a side entry (often off or near the garage) with a closet and seating as a mudroom. This mudroom (top) is representative of the one you will find in the beautiful 2,495-sq.-ft. Country-style home at bottom (Plan #135-1049). Having a laundry room on the main living level makes so much sense, especially considering that laundry areas were usually relegated to the basement in days gone by. Why not make it convenient to do that inevitable chore by placing the space where you do most of your living? 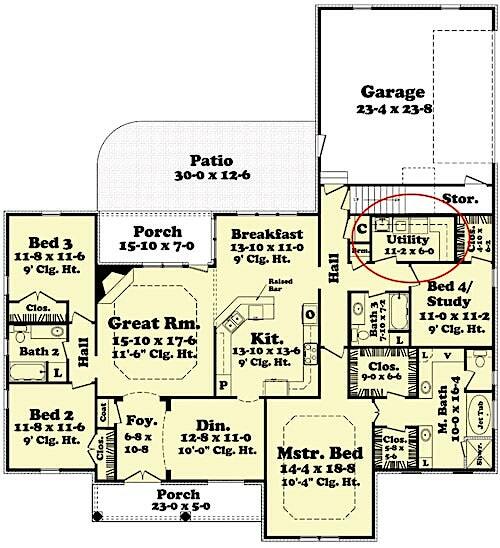 The laundry room (circled at top) is located just off the entry from the attached garage at the back of the 2,400-sq.-ft. Acadian-style home at bottom (Plan #142-1098). 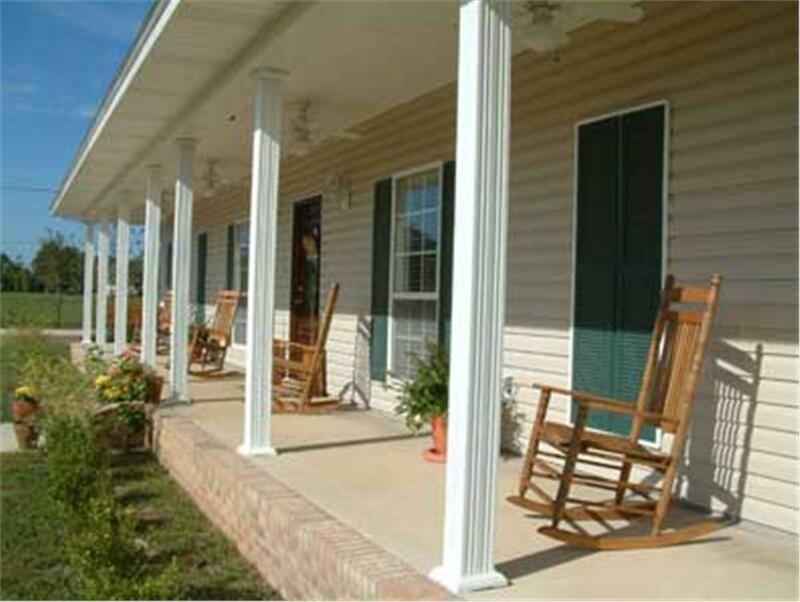 Becoming ever-more popular in recent years, the classic front porch is the perfect welcome for guests and the perfect relaxation spot to watch the world go by. 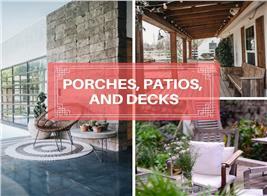 Speaking of relaxation, a covered rear patio or deck extends your living area by giving you extra space out of the weather. 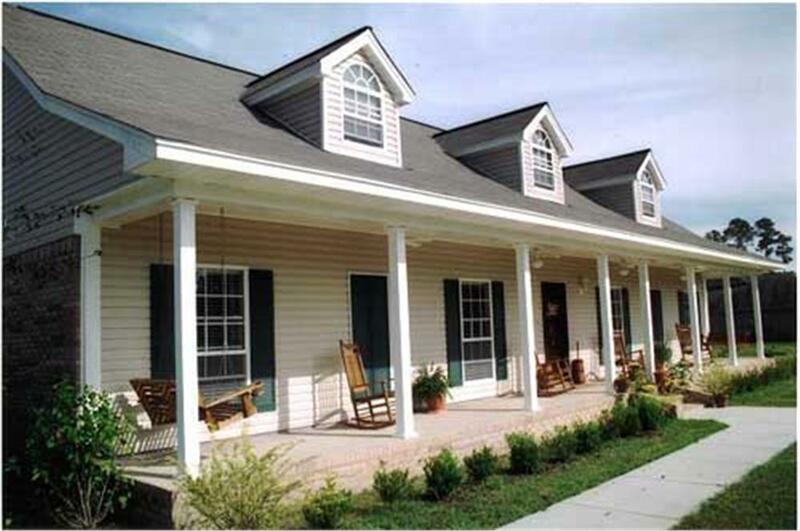 Both front and rear porch (or patio) make the smaller home seem that much larger. The wide porch on this 2,156-sq.-ft., 1-story Country-style home is outfitted with a swing and four relaxing rockers (Plan #123-1039). This covered rear patio and barbecue porch / outdoor fireplace (to the right looking out of the home) extends the living area of the 2,091-sq.-ft. house by keeping occupants out of the weather (Plan #117-1092). You can never have too much storage, so make sure your new house is outfitted with plenty of closets; sufficient cabinets in the kitchen, laundry, and bath areas; built-ins where appropriate; and a garage sized slightly more than the needs of your vehicles to provide space for the inevitable “extras” like lawn mower, power tools, and other garden and workshop paraphernalia. This master bath and walk-in closet of a charming 2,199-sq.-ft. Country-style house plan demonstrate smart use of storage – and that’s just the beginning. Each of the other 3 bedrooms in the home has its own walk-in closet; the kitchen has a walk-in pantry; and the breakfast area has a built-in breakfront (Plan #141-1107). Isn’t it time gather up your favorite features from these 10 and get started on searching for your own dream house?